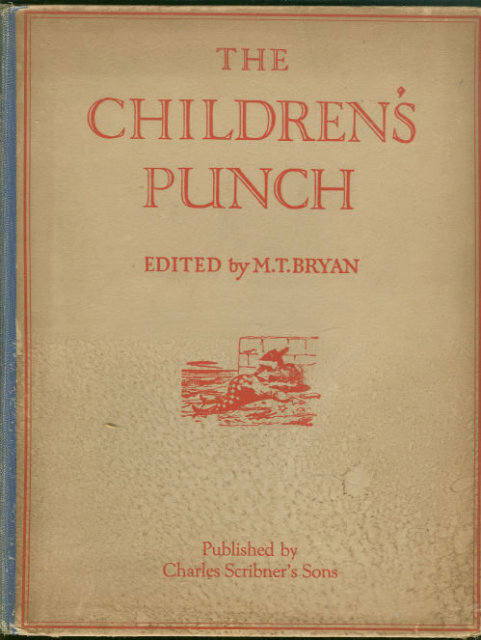 Children's Punch Edited by M. T. Bryan. New York. Charles Scribner's Sons. No Date inside. Hardcover. Very Good with no dust jacket. Edges bumped and worn. Soiling at bottom edge of front cover. Black and White Illustrations. 98 pages. Items Similar To "Children's Punch Edited by M. T. Bryan Illustrated"